This store bought costume for couples entered our 2015 Halloween Costume Contest. 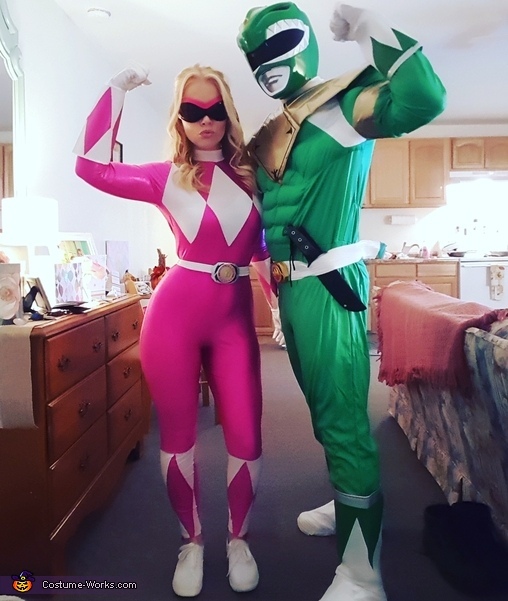 Tommy and Kim, the green and pink power rangers couple! Myself and my girlfriend Dee Thacker in the pictures. The show came out when we were 5 years old and has been our childhood favorite ever since. I was also the white ranger almost 20 years ago!